Events: Half Marathon, Full Marathon, 4 Person Marathon Relay, 6 Hour Run. 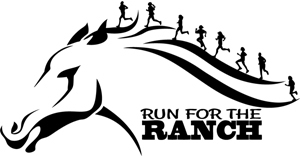 Benefiting: Proceeds benefit the Good Samaritan Boys Ranch and the Ozark Mountain Ridge Runners. Location: Starts and finishes at Parking Lot #24, Kings and Grand, MSU Campus, Springfield, MO (1/4 mile SW of intersection of National & Grand). Packet Pickup/Walk Up Registration: Friday, December 28th at Fleet Feet Sports, 1254 E. Republic Road in Springfield from 3PM to 7PM. Race Day Registration/Packet Pick Up: Saturday, December 29th from 8AM to 9:30AM at the start/finish line. Race Location: Starts and finishes at Parking Lot #22 (Kings and Grand), Missouri State University Campus, Springfield, MO (1/4 mile SW of intersection of National and Grand). Age Restrictions: To run the marathon or 6 hour event you must be 18 or over on race day. To run half marathon you must be 13 or over on race day. Parking: Ample free university parking can be found immediately SW of National and Grand for the race. Shirts: Each participant gets a UniSex technical shirt. Must be registered by 12/15/18 to be guaranteed a shirt. Medals: Custom ranch medals for all half marathon, marathon and marathon relay finishers. 6 Hour participants get a super sweet finisher trophy! Course: Flat & very fast! This course is a certified 3.275 mi loop so that the marathon is exactly 8 loops and the half marathon is exactly 4 loops. Very clear directional arrows will be posted along the course. All race distances are certified. Food & Fun: Free food and drinks for all finishers. Awards: Awards to first Overall, Masters (40+) males and females in the half marathon and marathon. Awards to top three in ten-year age groups in both events. Marathon Relay awards will include Overall Male Team, Overall Female Team and Overall Co-Ed Team. Awards to the top 3 males and top 3 females in the 6 hour endurance event.